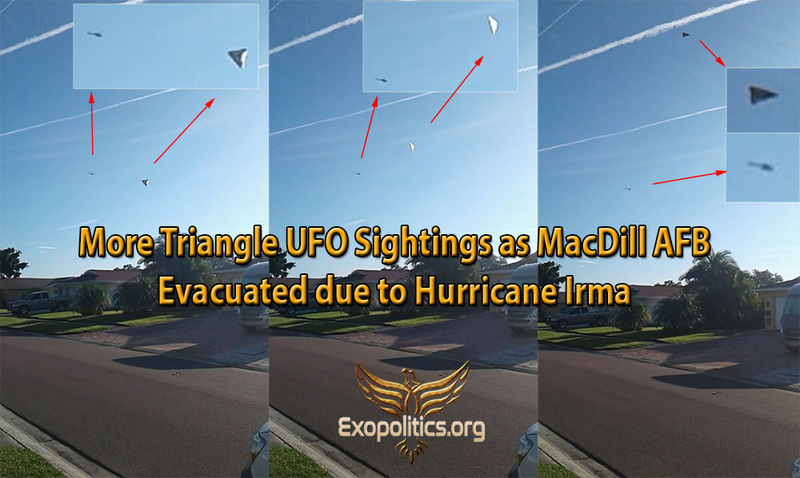 Only three days after MacDill Air Force Base reopened from a mandatory evacuation due to Hurricane Irma, UFOs were once again photographed near it. This time, the UFO’s were cigar-shaped, and at least 100 meters in size according to the photographer, JP (a pseudonym), who I have known for nine years and is a very credible source. On September 14, at around 3 pm (EDT) JP took a series of 11 photos and also video of the cigar-shaped UFO which appeared approximately two miles from MacDill AFB. Several orb-like objects were also moving around the cigar-shaped ship, which first appeared coming out of the clouds, according to JP’s eyewitness account. Further, he says that during the six minutes of filming and photographing the incident, all city noises ceased around him and it became very quiet and peaceful. Yet that quickly changed after the cigar UFO disappeared back into the clouds. What follows below is a short mp4 of the 11 photos JP sent to me, which show the cigar UFO and possible companion craft nearby in the first five photos of the series. Below is a composite of three of the images which most clearly show the cigar-shaped UFO, with added close-ups at the top of the composite. The first image shows approximately five orb-like objects, which JP said were in the vicinity of the craft. JP emphasized that he felt very calm and peaceful during the sighting as all around him turned quiet. This makes him suspect that the craft was extraterrestrial in nature since his feelings were very different during the flying triangle sightings he photographed from September 1 to 7. As discussed in my first article on JP’s flying triangle photos, he first got in touch with me in 2008 to talk about his extraterrestrial contact experiences he had in Brazil. Later it became clear that this was a human-looking “Nordic” group of extraterrestrials communicating with him. During his previous contact experiences, JP has told me that he had feelings of peace and calm, and his encounter with the cigar-shaped craft had generated a similar emotional impact on him. This is why he believes this photographed craft is extraterrestrial rather than part of the USAF secret space program. Then something occurred after he took the 11 photos and video that was very upsetting for JP. He says that after the cigar UFO departed, the ambient noise returned and he received a phone call. The person on the line was very abrupt and threatening. The male voice told JP, “don’t put [out] no videos, delete [them]”, then he hung up. Immediately after receiving the call, JP said it began to rain, and two lightning bolts struck the ground in succession about 20 feet (7 meters) from him. He felt very intimidated by the events and decided to delete the video, but to keep the nine photos which he soon sent to me. I was at a customer’s house and we were talking. We were talking about weather manipulation. I never actually talked to this customer before. He told me something really, really interesting. The house that is in front of his is the house of the commander of the CIA at MacDill Air Force Base… I got cold feet, cold hands, the customer said we’re watching you … He went inside. What this exchange suggests is that CIA operatives are closely monitoring JP who is being allowed to photograph antigravity flying triangle craft near MacDill, which are operated by Special Operations Command. JP knows a covert operative from MacDill who has befriended him, and who has been revealing details of various special forces operations involving the flying triangles out of MacDill. Further, JP says that he has also been abducted by the flying triangles on various occasions and taken to place where he has encountered human looking extraterrestrials. It appears that a group of extraterrestrials, which are cooperating with Special Operations Command, are allowing JP to photograph their vehicles near MacDill AFB. 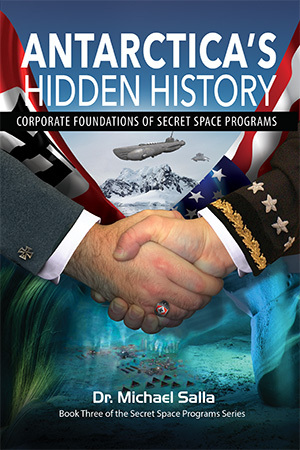 What this suggests is that Nordic extraterrestrials are actively working with Special Operations Command to disclose the existence of antigravity flying triangles and also the existence of extraterrestrial life. There are four basic types of EBEs so-far confirmed. And they are listed here in descending order of their influences on our planet. Earth-like humanoids. There are several variations more-or-less like ourselves. The majority of these are friendly and are the bulk of our EBE contacts. Most have a high degree of psychic ability and all use science and engineering of an advanced nature. Small humanoids or “Grays”. The Grays, so–called for the hue of their skin possessed by most of this type, are a sort of drone. They are not unlike the worker ants or bees…. They are mostly under the psychic control of the Earth-like humanoids who raise them like pets (or a kind of slave). Assuming the Greys are under benign control, they are harmless. Non-humaoid EBEs. These are in several classes and come from worlds where dominatnt morphology took a different evolutionary course. Many of these are dangerous not for organized hostile intentions, but because such creatures do not hold human life as sacred…. Thus far, contact has been minimal with only a handful of unfortunate encounters. Transmorphic Entities. Of all the forms of EBE studied so far by Operation Majestic, these are the most difficult to understand or even to give a description of. Essentially, such entities are not “beings” or “creatures” … exist in some either dimension or plane which is to say not in our space or time. They do not use devices or travel in space…. In essence these entities are composed of pure mind energies. … They are said (by other EBEs) to be capable of taking on any physical form that they “channel” their energy … as matter. This leaked document was the first time that any Majestic document had ever referred to “human looking” or a Nordic extraterrestrial group. 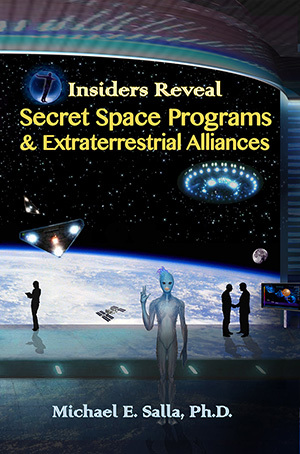 The DIA document and JP’s experiences lead to the conclusion that the USAF is now actively working with a Nordic extraterrestrial group. This Nordic ET – USAF/DIA alliance is opposed by other factions in the US military industrial complex which would help explain why Hurricane Irma was steered towards Tampa, where MacDill and Special Operations Command is located. This Nordic/USAF/DIA alliance would also explain why JP has been chosen as the individual to take the photos of various craft in the vicinity of MacDill, while also being intimidated by another CIA linked group that wants to slow or prevent his disclosures. JP believes that he will soon be allowed to share videos of the craft he is witnessing. That will occur as the decision for official disclosure is made at a very high level, likely involving President Donald Trump. ← Was Hurricane Irma Steered by Maser Satellites in Weather War against USA?